In addition to the resources available to our nonprofit partners on our site, we recommend connecting with other organizations and opportunities to help fulfill your mission. Northwest Oregon Volunteer Administrators Association(NOVAA) is the local professional association for volunteer managers, specializing in training and networking. Joining is an amazing way to network with and get to know your peers in the field, to learn best practices, and to stay up on trends. We partner with NOVAA for bi-monthly Volunteer Manager Happy Hours and Morning Meet-ups. Check the calendar for upcoming events. The Washington County Nonprofit Network provides networking, training and peer learning opportunities to nonprofit organizations serving Washington County, Oregon. 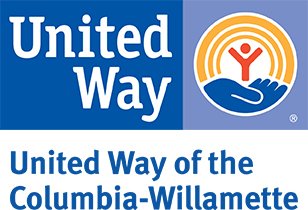 The goal of the Nonprofit Network is to provide capacity building supports to improve the stability and success of Washington County nonprofit organizations. The Nonprofit Association of Oregon provides training for volunteer managers, board members, meeting facilitation, and more. A great resource for anyone looking to take their service to the next level. Nonprofit Network Southwest Washington is focused on creating an infrastructure of support for local nonprofits in a rapidly growing and dynamic community. They nurture philanthropy, advocacy, and networking support for nonprofits in SW Washington state. Community Nonprofit Resources Group (CNRG) CNRG is a resource network which connects people, communities and organizations to help individuals gain skills to act as agents of change in collaboration with others. Craigslist - Portland Listserv is a great resource for volunteers. Portland has a very active Craigslist community. VolunteerMatch offers a variety of online services to support a community of nonprofit, volunteer and business leaders committed to civic engagement. Idealist.org connects people, organizations, and resources to help build a world where all people can live free and dignified lives. Idealist.org is a great place to list jobs or volunteer opportunities or to find job listings in the non-profit sector. 211info has free information about more than 7,000 health, community, and social services. And now 211 is available in EVERY Oregon county. Verified Volunteers is designed to make background screening of volunteers faster, easier and less costly for nonprofits and volunteers themselves. Would you like to learn more about the benefits of working with Verified Volunteers?